WOW! Women On Writing Blog: E-books: And or Only? Jodi--I imagine an e-book would be a way to get your foot in the publishing door, right? I understand your dilemma. I hope you come to a decision that makes you happy. I don't think e-book only is a detriment at all. True, there is some awkwardness you don't get with print books - no copies for signings, and no in-store buyers. But nowadays so many people buy their books by "browsing" online rather than in bookstores that I don't know that your sales will suffer much thereby. Because it's instant, e-publishing also enables the impulse buy, and, because e-books are generally priced much lower than print books, you may very well sell more copies - which, as a first-time writer, may help you to build a bigger fan base. Also, since you generally get considerably higher royalties on e-books, you can earn just as much revenue as on a print book. No, it's not as good as getting a print plus digital deal. But with e-book contracts, you're generally only selling your digital rights, which means you still own the print rights. 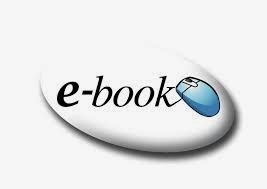 If the e-book sells well, you will be in a much better position to acquire a print publisher. So if you do get an offer, don't be disappointed if it's e-book only. It will likely do just as much for your career as a traditional publishing contract, and possibly even more. That;'s great that you received interest about your book, Jodi! I can understand your confusion about what to do. Ultimately, you'll have to go with what feels right to you. Since I got my kindle paperwhite a few months ago, I find myslef reading more ebooks. I'm even buying things I might not normally buy because of the low prices. So maybe authors can can sell more (higher volume) with an ebook. I'm sure you can find good info on special marketing techniques. Congrats on your book Jodi. A great accomplishment as I have just learned within the past six months also. I released my debut novel (paperback and Kindle/Nook) in Aug/sept of 2013. I went through createspace via amazon and was able to get the print on demand through createspace costing me only $3.65 per book to print. I have placed books all over at smaller bookstores throughout Minnesota where I live and my story takes place much of the time in Minnesota as well. I suggest you go with createspace. Easy to get through and no up front costs. Again, congrats! What is your book about? You will want to get some good reviews from others who read it. Amazon and Goodreads are popular.